It does not matter how many years expatriates stay in the kingdom of Saudi Arabia, its temporary only, At last they have to take final exit. Final exit process is to be done by your employer only, So be good with them, keep in mind about your contract notice period. If you do not know about your contract notice period, you should give at least 30 days for processing your final exit. Before you processing final exit visa in Saudi, you have to make sure you finished certain things which is very important to do before exiting. If you want to cancel your final exit visa also you need your sponsor only. - If you are staying in kingdom with family, Send them to your home country before you. - Should Withdraw all money from your bank accounts before they freeze your accounts. - If you are renting a house, Notice the landlord before 30 days. If you still have contract with house for few months, introduce some other to landlord in place of you for renting. - Clear bills, surrender and deactivate all credit cards and hand over them to the credit card companies. It is possible they can stop you at airport at the time of departure. - Clear all traffic fines and tickets related on your name, You can check your traffic violations from MOI website. - Sell your Car and send all important things to your home country through cargo. - Clear electricity bills, Deactivate Landlines and Post paid sim cards under your name or iqama. 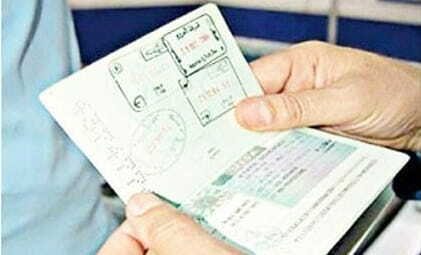 - Get police clearance certificate, If you have plan to go to western or european countries in future. Once your final exit visa processed, You can request your employer to get end of service benefits amount in cash as your bank account friezed. You can send amount to your home country with the help of your friends Iqama as you do not have. Keep the final exit visa paper in safe place, even if you are in home country. As it will be asked when you are entering in Saudi Arabia on another Job. Some companies do not provide final exit paper as it was not stamped by immigration authorities, But there will be a final exit stamp on your passport. Even though we gave notice period and gave resignation to our emplyeer, if they are not giving us final exit. What is the next possible way to get final exit ? Can a US citizen do final exit on the causeway?